They did a fine job with it. They were pretty punctual and professional. The woman who follows up is never pushy and always calls exactly when I request it. They are honest and don't try to get me to buy something I don't need. The gentleman was very professional. He did a great job and was very efficient in his attention to detail. They were very good. The men were hardworking, did their job, and did it well. I've recommended FiberClean to all my friends and family, and quite a few of them have used them. They are awesome. I was happy with the work. We have used them for many years and have had excellent results. The gentleman that came was very polite and careful. He was very professional. I thought they did a good job, the technician was efficient, and it was a pretty good price. Everything was great and we are happy. Everything was good and I've already recommended them. They were very nice guys. I am satisfied. I was not happy with how my couch turned out at all. All the stains resurfaced after a day. The man who did the cleaning was nice and thorough but the stains came right back. It was beautiful right after the cleaning but after it dried all the stains reappeared. They were good. They did duct cleaning for me. It has to be done once a year. He did what he had to do. I was interested in getting the ducts cleaned out from my washing machine and dryer. So, I didn't have any problems with that. It's just a routine thing. It's got to be done. I would grade the overall experience with an A. They cleaned the ducts and got a lot of dirt out of them. Got better air flow and better heat flow in the winter. They did a good job. They just cleaned up, did a good job and left. They were fantastic. I would grade the overall experience with an A. They inspected the air ducts. We asked them to clean them, but they came and inspected them and they didn't need to be cleaned. I would grade the overall experience with an A. Fiber Clean fixed our dryer. When I scheduled it, they were there when they said. I would grade the overall experience with an A. Well we had a gentleman come out last year and work on our couch, at the time when he finished the work, it looked good. But when fabric on a couch dries to 100%, you then see how good the job was. It kind of looked grungy after it dried 100%. When things are wet they look cleaner when he was working on it. And the funny thing about it, about a month ago, I got a call from Fiber Clean and I shared the exact same report with them, and the other person on the other end of the line said ‘Oh you should have called us right away. And we are sorry that happened, we don't ever want that to be the case. Let us make it up to you, what can we do.’ I said, ‘We got rid of the couch because we hated it, and the only thing that we have that has to be cleaned is carpet. Would you do carpet?’ Yes, we would do that. Love to have you come out, and it just died there. And then nothing, even though they got feedback about what we didn't like. And they said they would come out and do that service to try to make it right and they didn't follow up with that either. I would grade them a solid C.
Everything was fine. 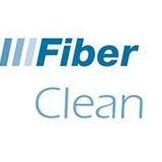 I was happy with everything Fiber Clean did. The dryer was never attached to the vent in the roof, and it was just pumping lint into the attic, which turned into black mold. I would grade the overall experience with an A. It was fine. I liked that they came in; they did what they said they were going to do and it was a fair price. They cleaned floors and furniture for me. I would grade the overall experience with a B+. They were great. They were on time, they were courteous, they were professional, and they did a great job on the carpets. They did put their money where their mouth was. I would grade the overall experience with an A+. It was OK. I noticed there was something that came out my rug after the fact. I don't know if it was too much suction— just a little piece of it. They did carpet cleaning for me. I would grade the overall experience with a B+. I have recommended them before, but this time was just a little different. I noticed there was something missing. Some of the extra threads of the rugs, it looked like a piece of it had come off.